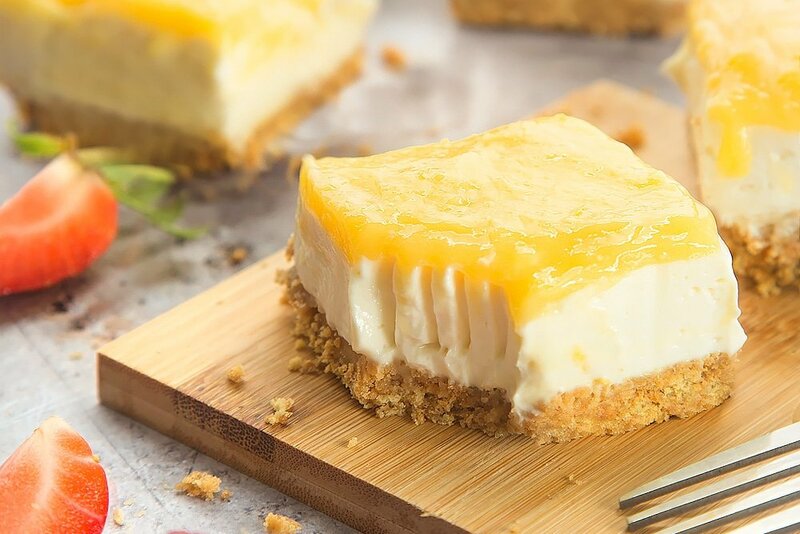 A buttery digestive base, a wonderfully rich yogurt cheesecake filling and a topping of zingy, mouthwatering lemony freshness – you’re going to love these lemon yogurt cheesecake bars! Cheesecake is a big favourite of mine, and the addition of Onken Extra Creamy Natural Set Yogurt adds a touch of tang and dreamy creaminess. It’s thick, creamy, delicious and gloriously silky smooth. These lemon curd yogurt cheesecake bars would make the perfect dessert for a Summer picnic. Smash the digestive biscuits to a fine crumb. Tip them into your square, loose-bottomed, 25cm/10 inch straight-sided tin. Add the melted butter and mix until combined. Press down firmly to create an even base, then place in the fridge to chill. In a bowl, whisk the cream cheese, yogurt and vanilla until thick. Add the sugar and whisk again. Tip the filling into the tin. Level off and return the tin to the fridge. (If you’re using a jar of curd, skip to ‘To bring together’) Place the lemon juice, lemon rind, butter and sugar into a bowl and heat gently over a pan of simmering water until the butter has melted. Add the room temperature eggs and whisk until fully combined. Continue to heat over the pan, stirring occasionally until it has thickened enough to leave a trail if you run your finger over the back of the spoon. Leave to cool completely. It will thicken further. Spoon the curd into the tin, level off and return to the fridge to firm up overnight. If you’d like to print this recipe to try later, just hit PRINT on the recipe card below. A buttery digestive base, a wonderfully rich yogurt cheesecake filling and a topping of zingy, mouthwatering lemony freshness - you're going to love these lemon yogurt cheesecake bars! Tip the filling into the tin. Level off and return the tin to the fridge. Place the lemon juice, lemon rind, butter and sugar into a bowl and heat gently over a pan of simmering water until the butter has melted. Is cheesecake one of your favourite desserts? Which flavous are your favourite? 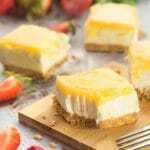 If you loved this lemon curd yogurt cheesecake bars recipe, why not take a look at my other cheesecake recipes for inspiration? Thank you! I’m sure that you’ll be able to make these delicious cheesecake bars – let me know how you get on! Oh wow that looks so yummy and I am a fan of Oneken yoghurt. Thank you! Yes, the yogurt is perfect for this recipe as it’s so thick and deliciously creamy. I hope that you enjoy these cheesecake bars if you give them a go! Oh heavens these sound amazing! I am such a big fan of lemon flavour and this dessert sounds perfect! Thank you! I love lemons too and these lemon curd yogurt cheesecake bars are really delicious. Let me know if you give them a go! 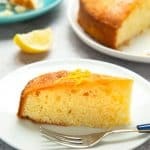 I love cheesecake and it would be nice to try this recipe especially since it’s made with yogurt and lemon. I’m sure the flavor is amazing and I like the serving size too. We all love cheesecake in our house and this recipe went down a treat! It’s full of delicious flavours, I hope that you decide to give these lemon curd yogurt cheesecake bars a try! 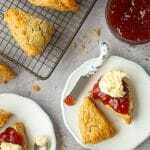 These look delicious and so easy to make! I love lemon-y desserts that are sweet and tart. 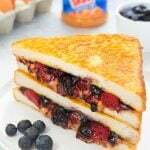 I have to try this recipe! Thank you. Yes, do give this recipe a try and let me know what you think! Thank you! The digestive buttery biscuits make a perfect base for the delicious blend of flavours! I love lemon desserts but, have actually never baked anything lemon. Never used real lemons only lemon juice and certainly never lemon peels. I would love to try and make this. Any desserts with lemons are always popular in our house and these cheesecake bars are so yummy. Let me know if you give this recipe a go! Thank you! It’s surprising how easy it is to make delicious lemon curd and well worth the little effort that it takes. I hope that you love this dessert as much as we do in our house! These look and sound so delicious! I’ve never made a cheesecake before as I always assumed it would be too difficult, but this makes it look like I might be able to manage it, so I’ll have to give it a try! Thanks! These cheesecake bars are not at all difficult to make and taste so amazingly good! I’m sure that you could manage to make them – let me know how you get on! Those pictures literally made my mouth water! I love anything lemon-y so will definitely be attempting this! That’s great to hear! Let me know how you get on! Oooh geez this cheesecake looks soooo good! Really refreshing too! 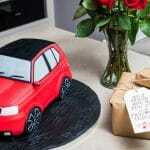 I might give it a go – though it best look as good as yours! Thank you :) These cheesecake bars are so delicious. They’re easy to make and I’m sure that yours will look equally yummy! Enjoy! I wish I could say that they’re on their way :) These cheesecake bars are so good, I hope that you let me know if you give them a go! We love lemons, cheesecakes, and yogurt in our house and this recipe would be a perfect combination of all three of them. Your pictures are so amazing, making me craving for these cheesecakes already. Thank you – I’m pleased that you like the photos and I hope that you all enjoy these lemon curd yogurt cheesecake bars as much as we do! Oh wow, this looks delicious Emily. 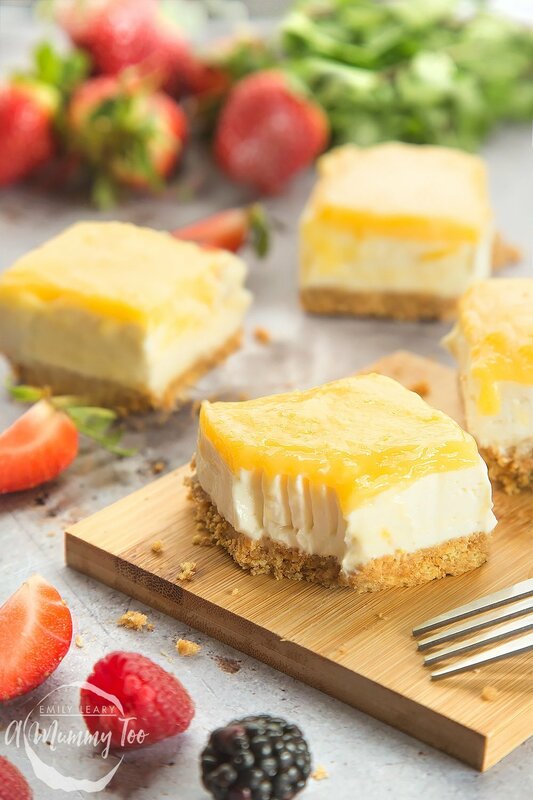 I love cheesecake and your lemon curd yogurt ones sound amazing :) I could just eat one now. Thank you Claire! I love cheesecake too and this dessert is really popular in our house, in fact they don’t stay on the plate for very long! A first time for everything! This cheesecake bars are easy to make and taste wonderful! I love lemon curd so these look delicious! Your posts make me so hungry lol. I will be saving this to give a go! Thank you! I hope that you love these delicious cheesecake bars as much as we do in our house! Your recipe sounds delicious and I love the step-by-step photos too. My Mum is a HUGE lemon curd fan so going to share this recipe with her now! Thank you! I’m really pleased that you like the step-by-step photos for making these delicious cheesecake bars! Let me know what you and your mum think of them! Oh my, these look absolutely incredible and also so easy to make. I never knew lemon curd was that simple to make, I want to give it a go. We’re all huge lemon fiends here so sounds perfect for my lot. Thank you! We all love lemons and cheesecake in our house too so these delicious lemon curd yogurt cheesecakes went down a treat! I hope you enjoy this recipe if you give it a go! Wow these sound absolutely delicious and they look so beautiful! I need to make these for my kids to enjoy! Thank you! They’re as delicious as they look! Let me know what your kids think if you give them a try! This looks so delicious. It is perfect to make this right now because the season and changing and this will refresh you on a hot summers day. I know my family will love this as well, they are a big fan of lemon. Thank you! We love yogurt,lemons and cheesecake in our house so this recipe ticks all the right boxes! Enjoy! Oh that looks so good! I’ve never made one before but willing to give it a go! Thank you! I hope that you do decide to give these delicious cheesecake bars a go! They’re not difficult to make and taste delicious! Cool – let me know how you go! Ooh nice!! I love lemon dessert of any kind of but these sound delicious! My children are big cheesecake fans too, we would really enjoy making these together! Thank you! We love lemons, cheesecakes and yogurt in our house and this recipe is a delicious combination of all three! I hope that you and your children have fun making these! Your photos are always so beautiful! My husband loves lemon flavour desserts – he would absolutely love this recipe! Thank you so much! I hope that your husband enjoys these delicious cheesecake bars if you give them a go! Thank you! This isn’t a difficult recipe to follow but if you have a friend who is more than happy for you to be her taster, then why not! Enjoy! Oh wow! This looks amazing, although I’m not sure I like you showing me this the day before I start a new healthy eating regime! Haha! Thank you! 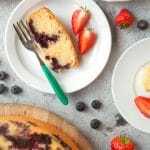 We love cheesecake in our house and this recipe is so delicious – enjoy! Thank you! I hope that you’ve been inspired to give this recipe a go! Oh how wonderful that looks. It is as though it is saying “reach through your screen and take a bite” but, a bite won’t be enough. I love lemon and I can devour cheesecake so this is made for me. I already pinned it because I know eventually I’ll be having one. Thank you :) You’re right, just one bite wouldn’t be enough! Enjoy! This looks delicious and like something even I could master! Definitely going to give these a try as lemon cheesecakes are pretty much my favourite when it comes to cheesecakes. Thank you. The ingredients and the addition of this delicious yogurt make for a mouthwatering cheesecake! Let me know what you think! Oh wow, this looks delightful! I love it when people add lemon zest to a recipe – too often I don’t see people using it and it adds such a nice touch. This looks like a perfect dessert for a summer BBQ! Thank you! This recipe is perfect for any time of the year and even though there is still snow on the ground here I can just picture enjoying these cheesecake bars outside on a beautiful sunny day! man this looks amazing, i’m a sucker for anything cheesecake. This will be a great treat for my kiddos. Thank you! We love lemons, cheesecake and yogurt in our house so this recipe is a perfect combination of ingredients to make a delicious dessert. I’m sure your kids (and you!) will love it! I love cheesecakes. probably the best cakes ever! your version looks delicious! I love cheesecake too! I hope that you decide to give this recipe a try – these lemon curd yogurt cheesecake bars are delicious! This looks absolutely delicious! The pics are great! Thank you for sharing, I’m going to try them for sure! That’s great! I’m so pleased to hear that you’re going to make them – Enjoy!